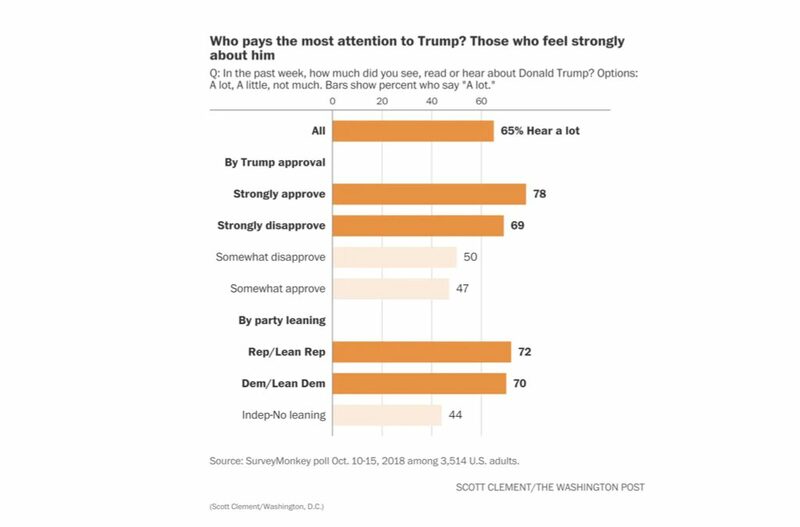 A recent poll, with design and analysis by J. Pasek, S. Soroka & M. Traugott found that while Trump wasn’t on the ballot, Americans were consuming a remarkable amount of news about him in the final month of the midterm campaigns. Attention paid to him was far higher among those who have strongly positive or negative views of him than those who are less passionate. Click here to read the article.